Yo dawg, I hear you like horsepower with your horsepower, so our friends at QuattroWorld got pictures of cars that make up 2,269 rampant Audi horsepower at Le Mans. You're welcome. 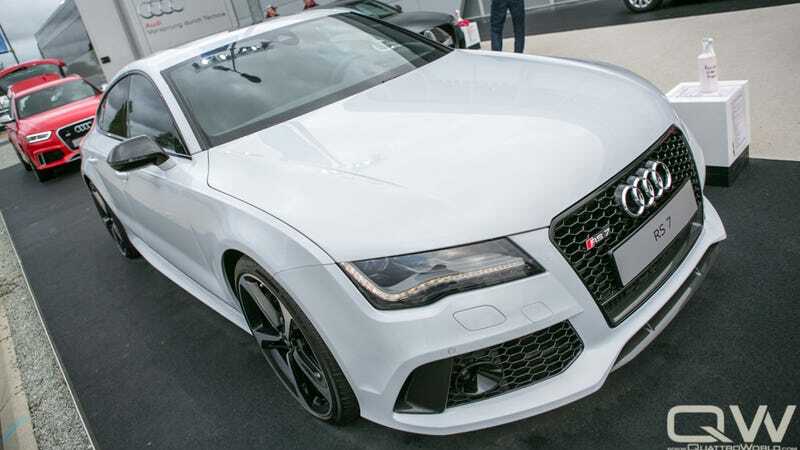 Edited because apparently people thought I meant there was a 2,200 horsepower RS7, which would be terrifying.